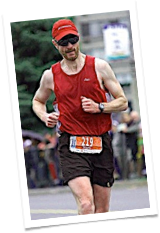 Mark Sullivan has completed over 178 marathons with an average time under 3 hours. 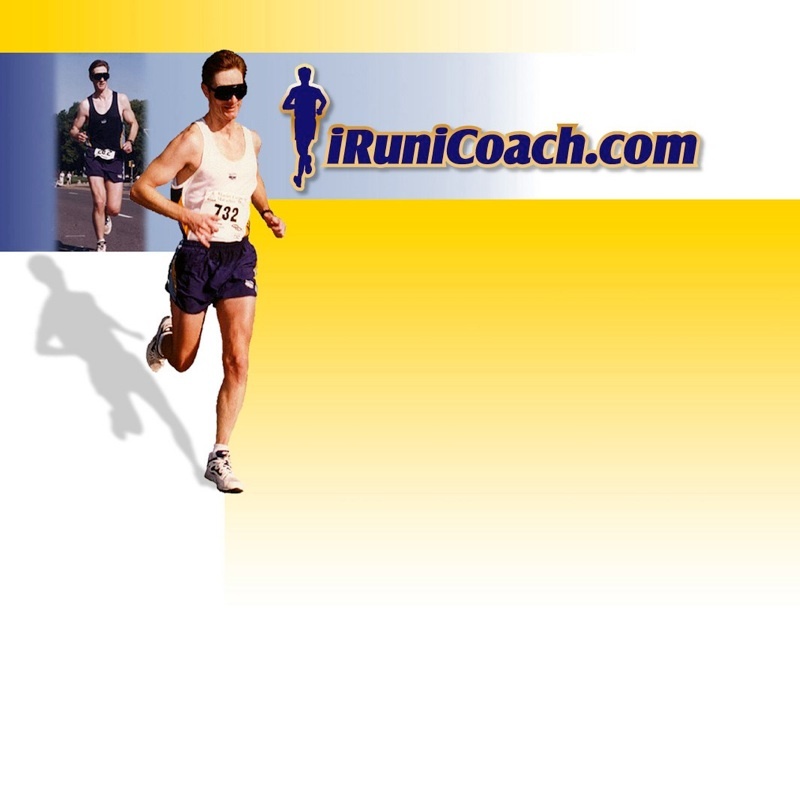 He has run numerous ultra-marathons and 33 consecutive Boston Marathons. 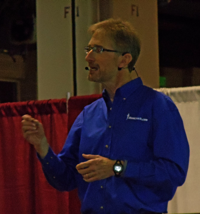 Mark Sullivan has been a guest speaker at race events throughout the U.S. and Canada. He has written numerous articles on running and training, and has been featured in various running publications, newspapers, radio and television programs. Mark Sullivan is available for expos, health fairs, pasta parties, and wellness programs. 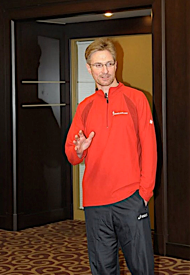 Mark can conduct how-to clinics for beginning walkers or runners, first-time marathoners, or even those hoping to qualify for Boston. Or, he can present injury prevention seminars, workshops for gait analysis, or specific training or stretching techniques. 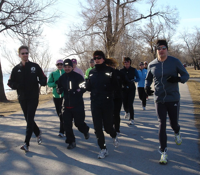 Mark can also develop a corporate walking or running program for nearly any size company. 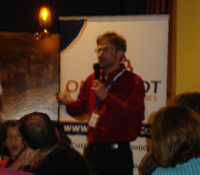 To schedule Mark Sullivan for your event, e-mail him at: mark@iRuniCoach.com. Speaking to marathon runners at a pre-race pasta dinner. After directing a brief warm-up and providing words of encouragement, Mark leads a group of runners in a pre-race day ”friendship run”. Mark provides motivation as he speaks to a group of runners and walkers at a pre-race pasta dinner the evening before their big race. 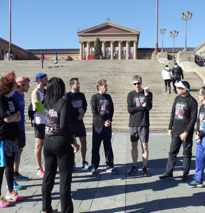 Mark Sullivan speaks to a group of runners and walkers and offers some last minute tips for race day before leading them in a pre-race fun run & walk. 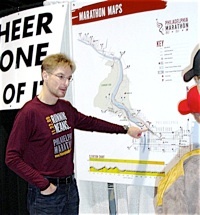 At the expo, Mark Sullivan serves as marathon course expert and answers participants’ questions about changes to the course. Mark Sullivan conducts a pre-marathon course overview seminar making recommendations on how to best run the course. Mark addresses a group of runners (including Marathon Legend, Bill Rogers) before leading them in a short pre-marathon shake out run. 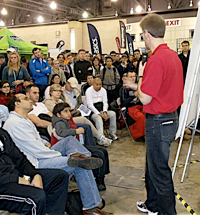 Mark speaks to a packed house during one of his popular and informative seminars at the Philadelphia Marathon Health & Fitness Expo.